The ‘perfect’ delivery may be a bit elusive, but let’s try to describe one. 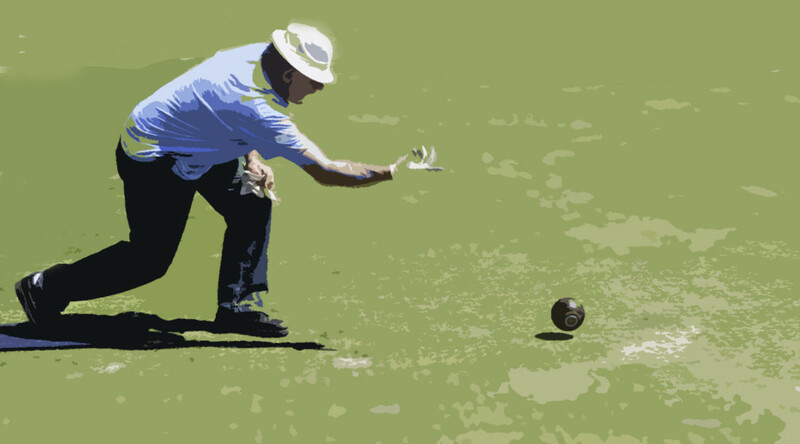 The bowler has taken the mat, examined the situation in the “head” [where the jack is], decided to bowl forehand or backhand, and has visualized the outcome. While all that was going on, s/he has recalled surface irregularities and whatever other conditions might have changed since the last bowl was delivered. So, what constitutes a good delivery, aside from one that gets the bowl to the right place? Like most sports, the magic comes when the bowler can reproduce the delivery the same way each and every time. The pendulum-like back swing is controlled and smooth. The grip is firm and the bowl is properly aligned in the hand. Reproducibility is the magic word! 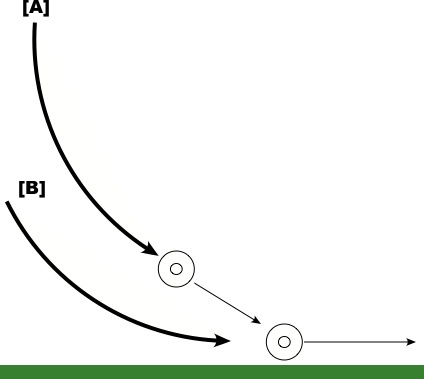 In the cartoon below, consider the two release points [at the circles that represent bowls]. In the upper release, the bowl is released at some elevation above the surface. 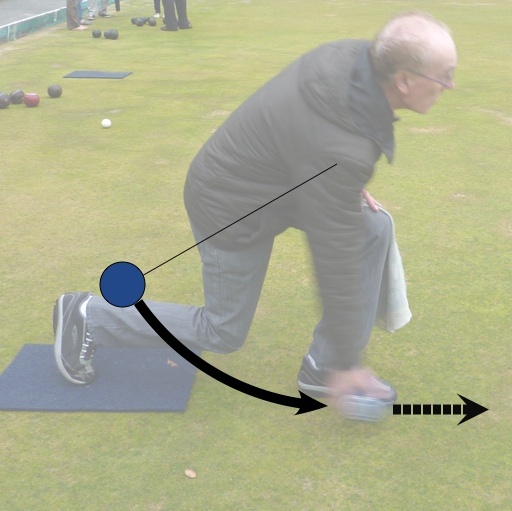 The higher the release, the more energy is wasted by impacting the surface – THUMP. This undesirable habit is called “dumping” and is hard to reproduce time after time. In the lower line, the bowl is released at the bottom of the arc, quite close to the grass surface. Little or no energy is lost to the collision of bowl and surface. Properly done, it’s almost silent. Here’s an actual delivery by Jim Corr that shows his refined form. Previous PostReport on Sanding the GreenNext PostThere’s a signal for that!